Bottom line: kids grow fast. One day their pants fit perfectly and the next they look more like waders. You could just deal with the obviously too-short look or constantly buy new pants, but now there is a smarter solution. 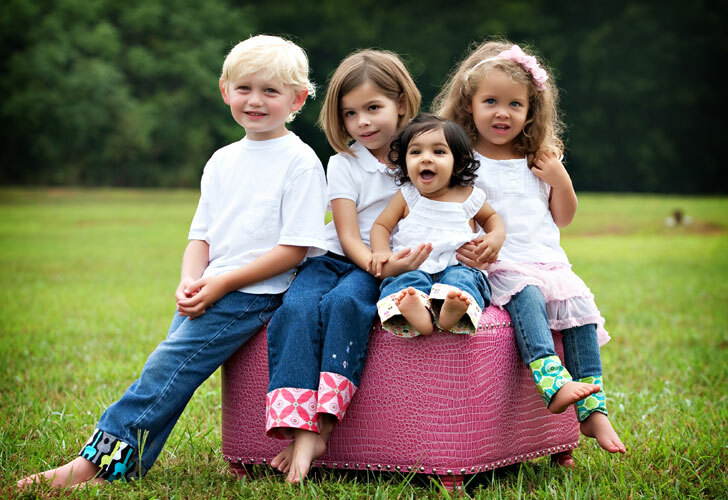 Belle Bottoms add inches to the length of your kids pants, extending their life. With about 30 different patterns and colors to choose from, they also add some style to plain old pants, too. Read on to see how they work. If your kid is flying through the growth chart like a bean sprout Buti-Bag Belle Bottoms are a smart solution for extending the life of outgrown pants. Simply pick a pattern and color your kid will love – you’ll find everything from black and white polka dots to camouflage to owls. Then, wash the pants that need to be longer, rip out the hem and iron on the Belle Bottoms. Even if you don’t have any sewing skills, you can alter the length of your kids pants with these snazzy cuffs. Belle Bottoms come in two sizes – small typically accommodates kids ages 0 to 6 and large fits older children’s pants. For the best and longest-lasting results, they’re best used on woven materials like denim and twill. While the pant length extending cuffs aren’t made from organic fabric, they are made in the USA. Buti-Bag was founded by Nicole Williams, mom of two, who also came up with the design for Belle Bottoms. We think they’re a brilliant fix for the too-common problem of outgrown clothes. This is such a ingenious idea! We all know how fast children grow! If your kid is flying through the growth chart like a bean sprout Buti-Bag Belle Bottoms are a smart solution for extending the life of outgrown pants. Simply pick a pattern and color your kid will love - you'll find everything from black and white polka dots to camouflage to owls. Then, wash the pants that need to be longer, rip out the hem and iron on the Belle Bottoms. 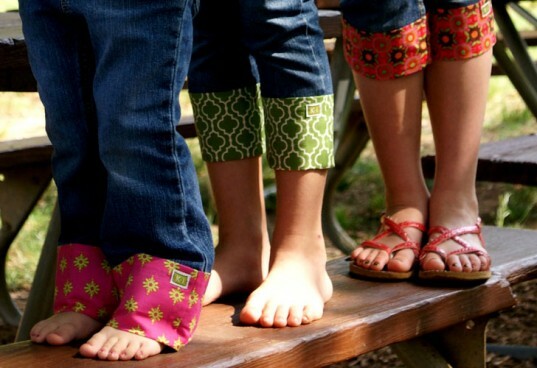 Even if you don't have any sewing skills, you can alter the length of your kids pants with these snazzy cuffs. Belle Bottoms come in two sizes - small typically accommodates kids ages 0 to 6 and large fits older children's pants. For the best and longest-lasting results, they're best used on woven materials like denim and twill. While the pant length extending cuffs aren't made from organic fabric, they are made in the USA. Buti-Bag was founded by Nicole Williams, mom of two, who also came up with the design for Belle Bottoms. We think they're a brilliant fix for the too-common problem of outgrown clothes.